Get a backup copy of The Witcher 2 Enhanced Edition for free. Redeem your free backup copy of The Witcher 2 Enhanced Edition. 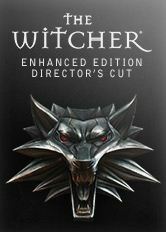 If you already own any edition of The Witcher 2 simply enter your product key below and you’ll receive The Witcher 2 Enhanced Edition on GOG.com. If you don’t have an account yet, you will have to create one (it takes less than a minute).